A number of surveys have been carried out on the suitability of a variety of sample bottles:phic water bottles on a wire. 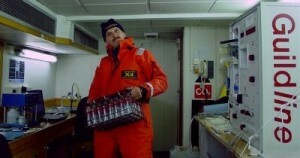 When taking surface samples manually, the neck of the container must be thoroughly dried before fixing the cap. Polythene and, in general, other plastic bottles are not suitable. Many plastics “breathe”, other absorb dissolved components over relatively short time periods. 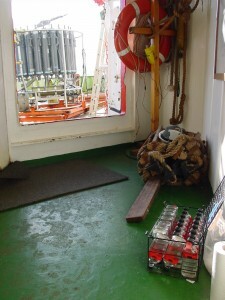 Single plastic screw caps and rubber bungs do not provide a sufficiently reliable seal. 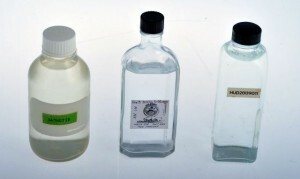 Author’s collection of standard glass salinity bottles from different countries research ships. Left to right: USA Wheaton 500ml silicone coated bottle, UK flat 500ml bottle, Canadian square 500ml bottle. 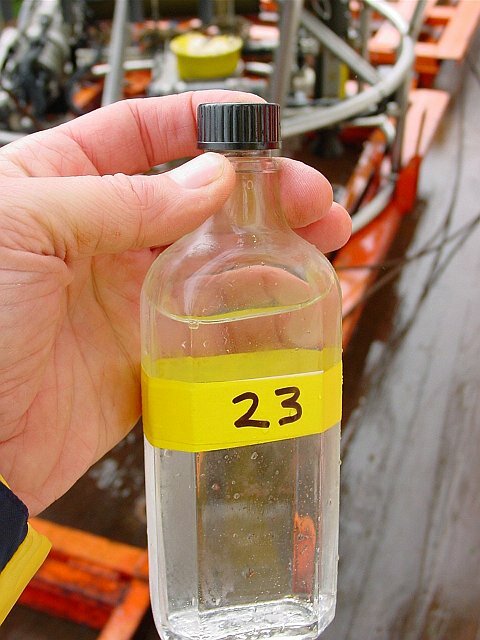 There should be no metal contact with the water sample during storage.The most widely tested and acceptable bottle is that of glass, (Type III is satisfactory), with a plastic cap insert (disposable) and a strong screw cap (bakelite). These bottles are relatively cheap and have a good working life-spin of about 10 years, before glass deteriorates from salt water contact. 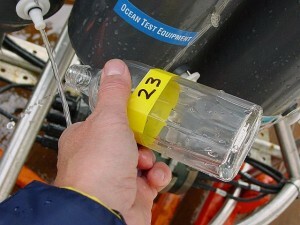 Ideally, dry bottles, prepared in this way, should be used when sampling. However, if this is not possible, the bottles can be stored containing seawater (preferably of the salinity of the samples). 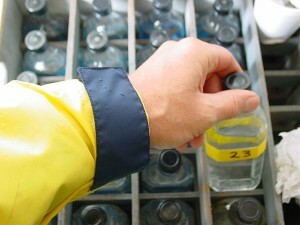 Rinse bottle and cap three times with sample water. Fill bottle to base of neck (shoulder). 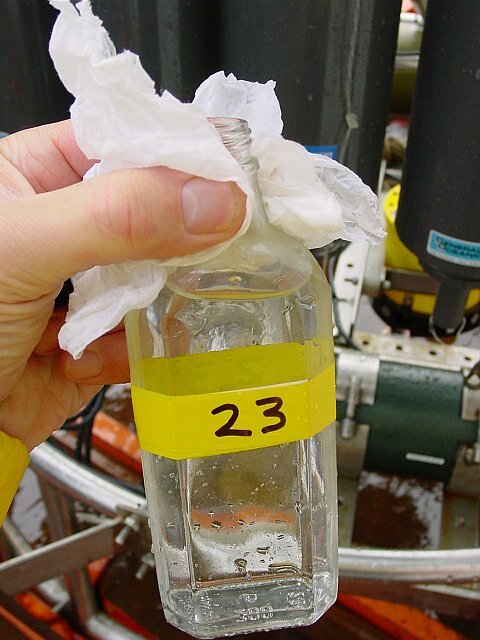 Avoid overfilling as this can lead to sample seeping at the neck and subsequent salt crystal formation. Dry cap and outside of bottle neck thoroughly with clean tissue, insert plastic plug and screw cap on firmly. This is essential to prevent formation of salt crystals in cap. 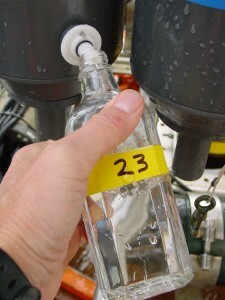 The delay between filling and capping the bottle should be kept to a minimum. Store bottles upright in well protected crates. Avoid large temperature changes. 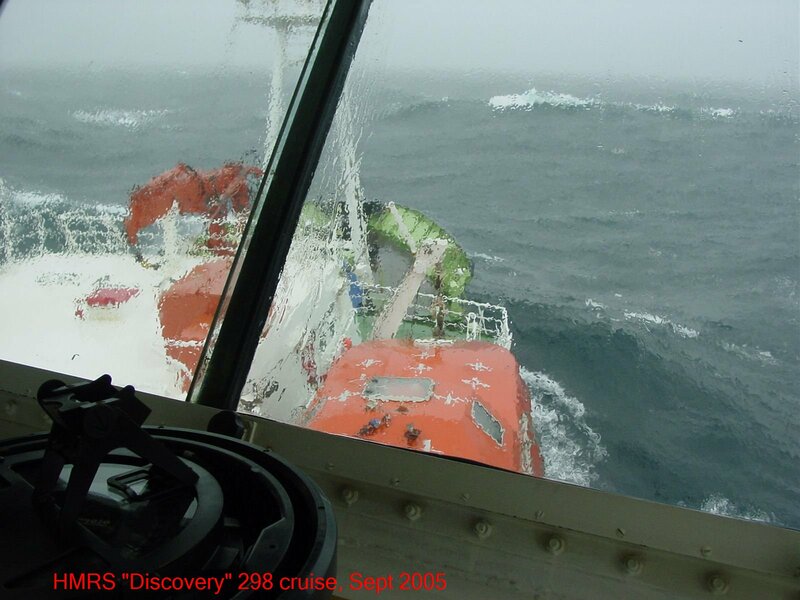 Do not allow the samples to freeze. Shake the sample 2-3 times prior to analysis to ensure homogeneity. Devise an organized system for identifying bottles so that quick and orderly sampling can take place. It can be safer to label bottles and screw caps. Permanent numbering system is more useful as bottles are re-used many times.